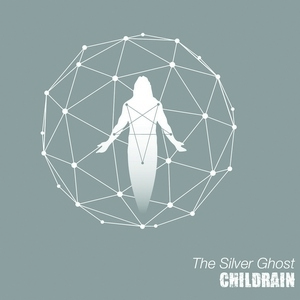 One of those bands that manage to accumulate a few releases without much attention but keep plugging away, The Silver Ghost is the fourth album for Spain’s Childrain. With a sound that easily falls into the modern metal category, it’s a direct approach that focuses on some groovy riffs, catchy hooks, and varied vocals. But the one problem lies in the way that some of the vocals are executed. Childrain’s modern metal mix takes everything from melodeath and progressive to groovy and metalcore, and the foundation that the band has built is solid. Tracks can have some aggressive riffing, boisterous drumming, and some absolutely standout solos (see “Eon”). Musically, the band has a lot to offer, and the way that they shift between more pop-influenced (read: metalcore) tracks into something that is more thrashy or progressive at any moment is certainly enough to warrant the band some looks from those that enjoy this type of material. However, those looks may end up turning away due to some cringe-inducing vocal lines when the band goes into clean territory. The ‘poppier’ tracks are the ones that succumb the most to this, such as “Saviors of the Earth,” and later in the album with “Interstellar.” There’s a nasal-y sound to the cleans and it renders the songs near unlistenable. What is puzzling though, is that there’s such a variety, and some Trivium-esque cleans that they use that fit much better (see “Ten Thousand Moons” or “Wake the Ghost”). Not every track is therefore hit by the more awkward cleans, which is in the band’s favor – as there are still some truly ripping tracks, such as the aforementioned ones. Vocals shouldn’t be a big deal in metal, unless you are in the modern metal variety where they stick out in the front. Because of this, The Silver Ghost needlessly suffers a bit due to the number of tracks that utilize some less than stellar ones. But if they can strengthen them a bit for the next round, it’s the only real fault to be had here.